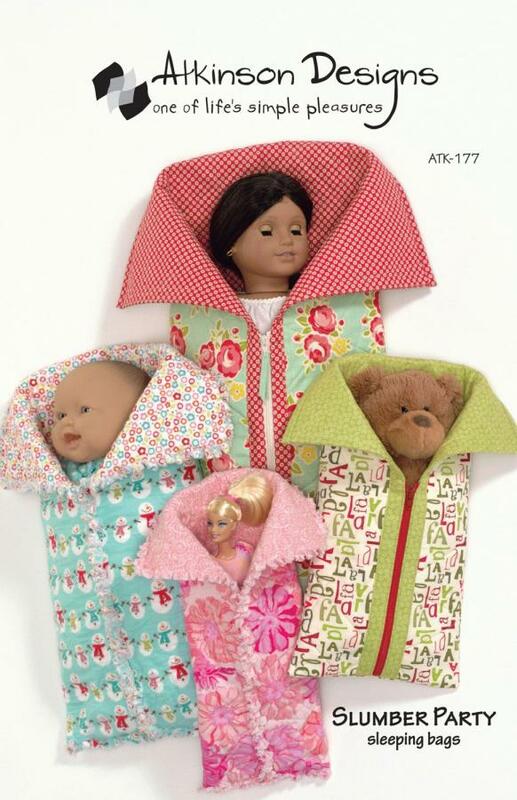 Use this fun pattern to sew up a slew of slumber party DOLLY sleeping bags for your favorite little kiddos. Playtime friends are all snuggled up in cozy sleeping bags, ready for a camp-out or slumber party! 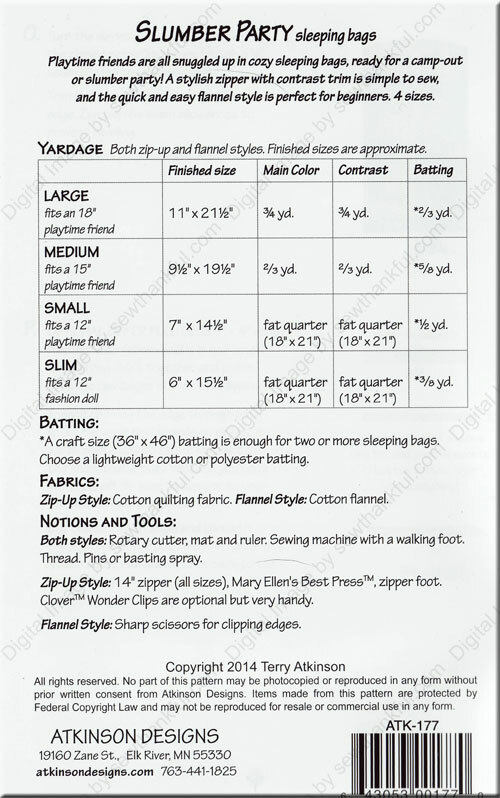 Instructions for 4 sizes included in the pattern.